US retail giant Walmart on Friday said that it has complied with the tax obligations of its $ 16 billion acquisition of India's largest online retailer Flipkart but did not say the quantum of taxes it paid. The tax authorities had set September 7 as the due date for depositing a withholding tax on the deal amount it paid to shareholders of Flipkart. Withholding tax, or retention tax, is an income tax to be paid to the government by payer of the income rather than by the recipient of the income. The tax is thus withheld or deducted from the income due to the recipient. In case of Walmart-Flipkart deal, the withholding tax pertains to the capital gains made by the shareholders of Flipkart. "We take our legal obligations seriously, including paying taxes to governments where we operate. 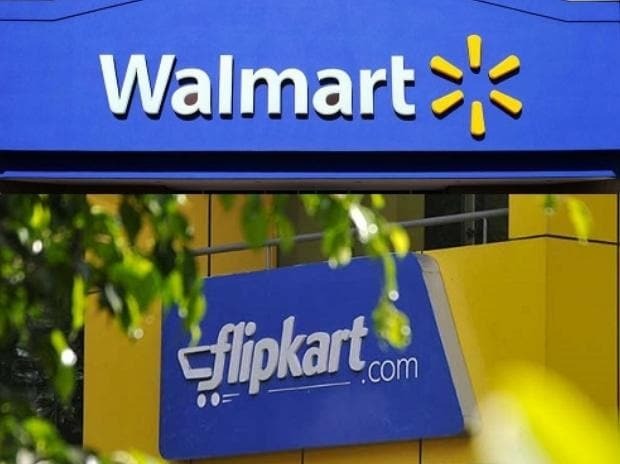 Following our Flipkart investment, we have now completed our tax withholding obligations under the guidance of the Indian Tax authorities," a Walmart spokesperson told PTI. However, the company did not disclose the tax amount deposited with the I-T authorities at the time of the story going to wire. US-based retail giant Walmart Inc had completed acquisition of 77 per cent stake in Flipkart for about $ 16 billion in mid August. As per the provisions of the I-T law, Walmart has to deduct withholding tax on payments made to sellers and deposit it with the Indian authorities on the seventh day of the subsequent month, which in this case is September 7. Of the 44 shareholders of Flipkart who have sold stake to Walmart, the significant ones include SoftBank, Naspers, venture fund Accel Partners and eBay. Also co-founder Sachin Bansal has sold his stake to the US retail major. The I-T department has been reviewing Section 9 (1) of the I-T Act, which deals with indirect transfer provisions, to see if the benefits under the bilateral tax treaties with countries like Singapore and Mauritius, could be available for foreign investors selling stakes to Walmart. Singapore-registered Flipkart Pvt Ltd holds majority stake in Flipkart India. According to sources in the department, the tax officers would now look into the taxes deposited by Walmart for every shareholder who sold shares in Flipkart. If any discrepancy is found, then it would write to Walmart seeking its response for failing to deposit the taxes.